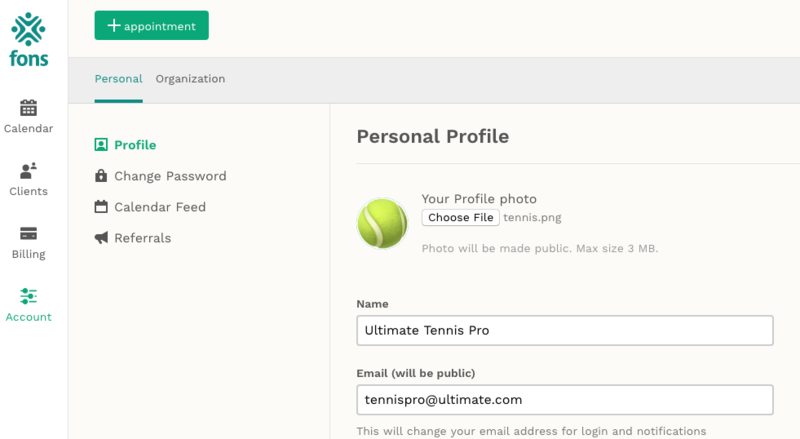 The steps for updating an email address is the same for both providers and clients. Select the "Account" tab. This will bring up the option to edit your "Personal Profile". You should find the field to change your email right there.